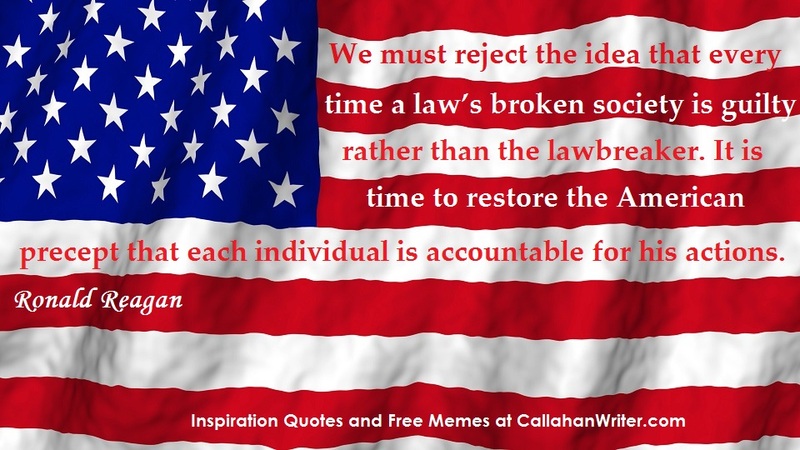 Free Inspirational and Patriotic Quotes and Memes | Troy C. Wagstaff aka CallahanWriter Blog: Topics of interest include Western Historical (1865-1899) Topics. Additionally inspirational Christian and Fibromyalgia interests. 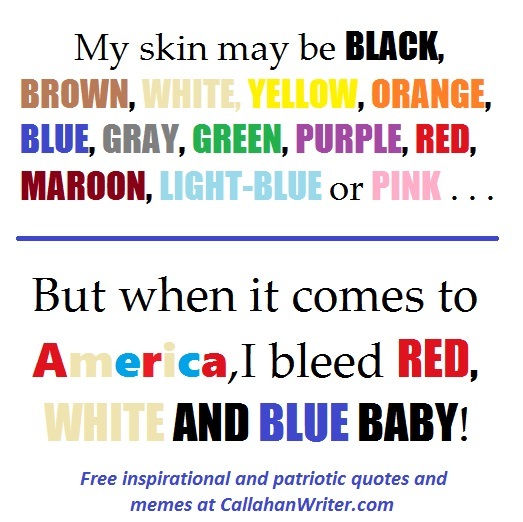 My skin may be black, brown, white, yellow, orange, blue, gray, green, purple, red, maroon, light-blue, or pink but when it comes to America I bleed red white and blue baby! I am an American. That is not a race, but a creed and an honor. 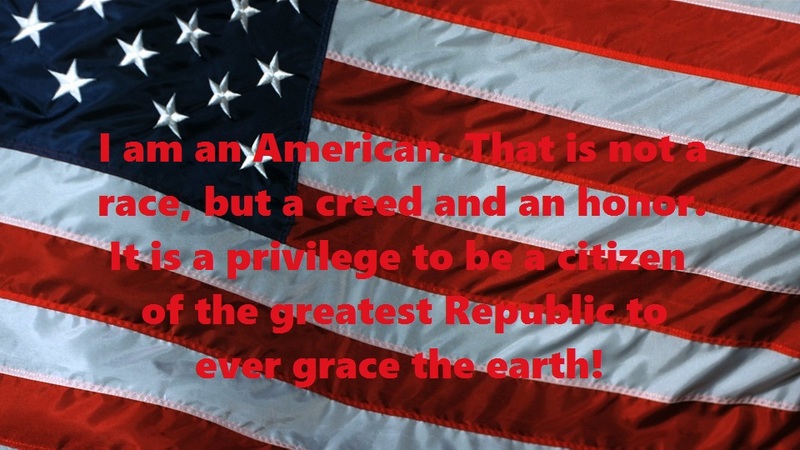 It is a privilege to be a citizen of the greatest Republic to ever grace the earth! 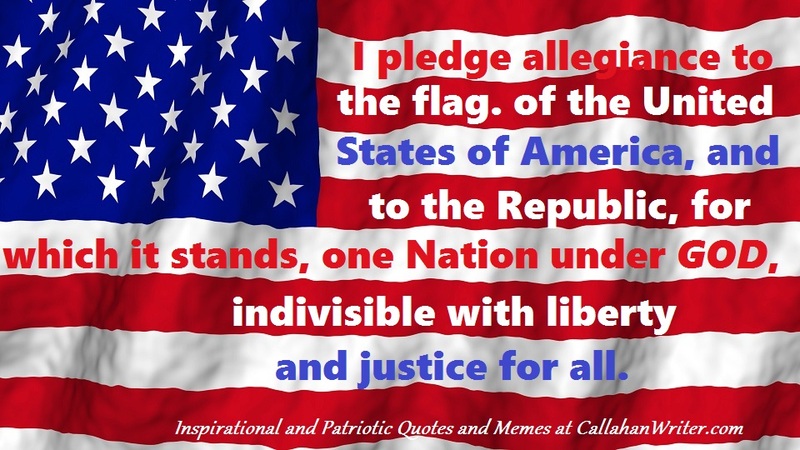 I pledge allegiance to the flag. of the United States of America, and to the Republic, for which it stands, one Nation under God, indivisible with liberty and justice for all. To be an American requires a pledge or oath of loyalty and fidelity to the principles upon which this country was founded. 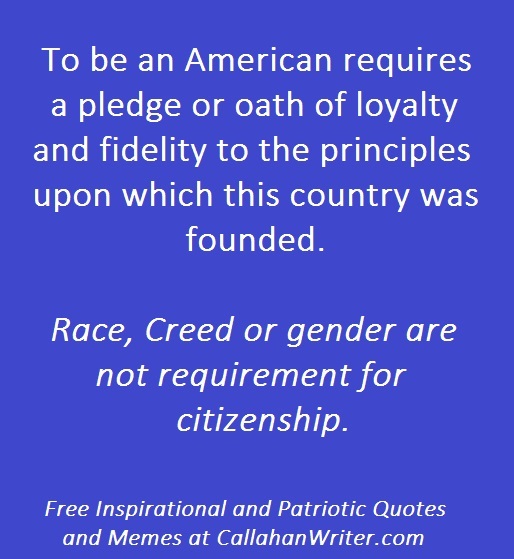 Race, Creed or gender are not requirement for citizenship. 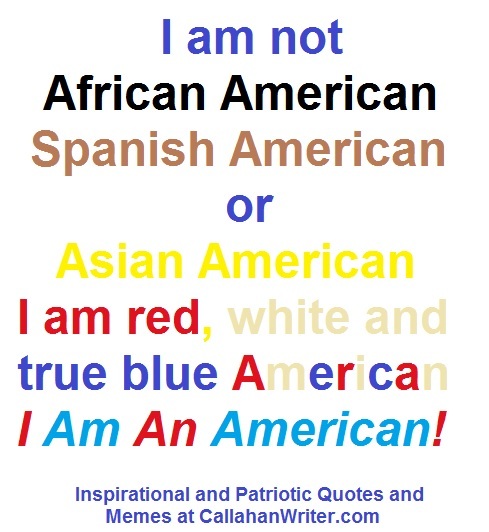 I am not African American, Spanish American, I am not Asian American…I am red, white and true blue an American. I am an American!